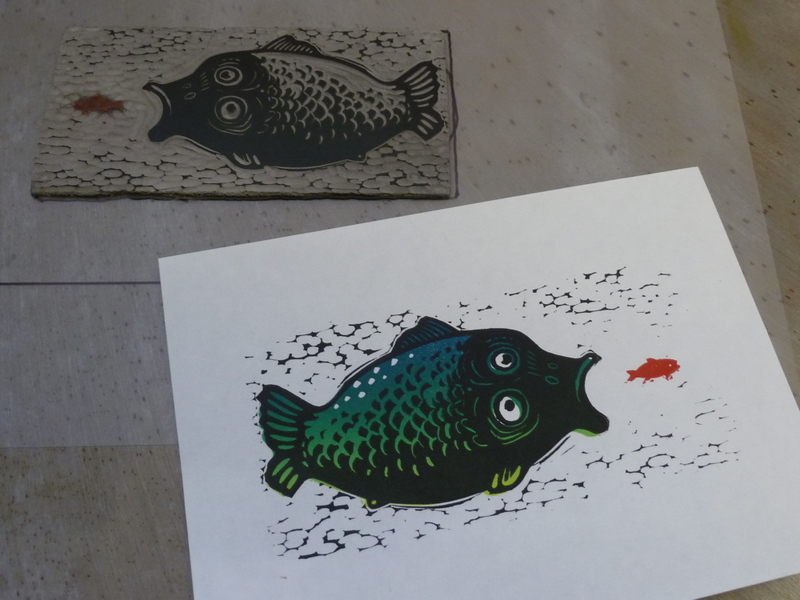 I’ve been printing my Hungry Fish linocut which has a colour blend, or colour gradation, on one of the blocks. This is a very simple printing technique where two or more colours are blended on the ink roller resulting in a striking effect which can be used in a number of ways. 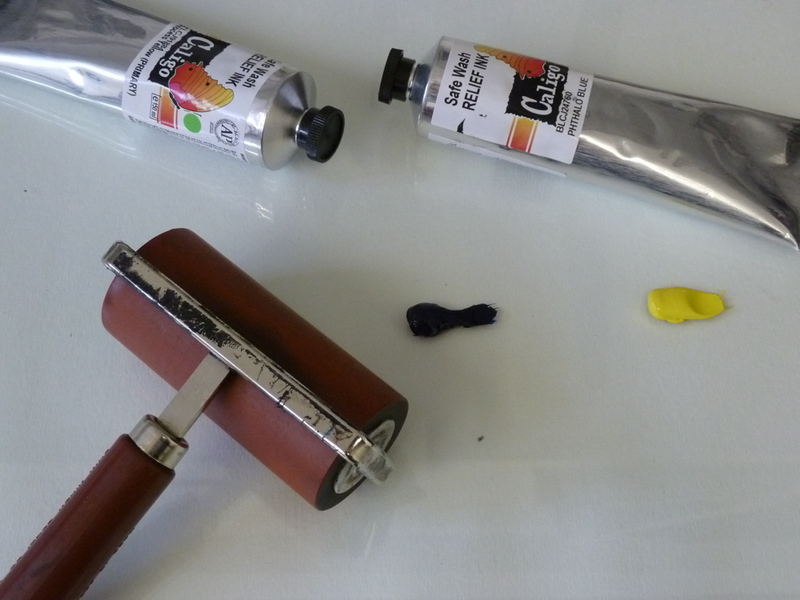 I’ve put together a mini tutorial below showing the steps in inking and printing the blocks. Hungry Fish is a two block print and you will also see my method for registering the blocks using a registration sheet. 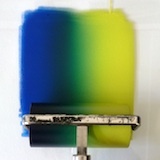 As you roll the colours will gradually move together and start to blend. To speed this process up you can move the roller slightly to the left and right on alternate rolls. You must be very careful to get everything the right way round! 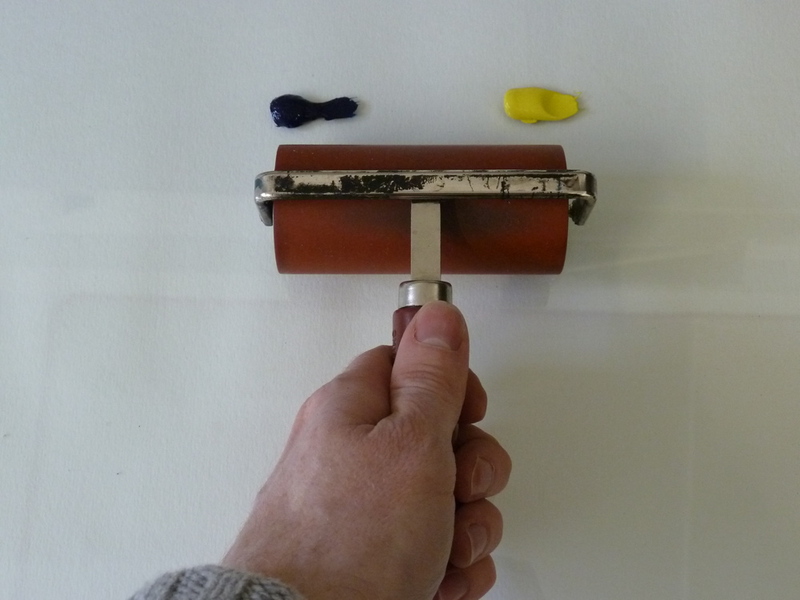 Re-ink the roller in between rolls to avoid off-setting areas of the image back onto the block. 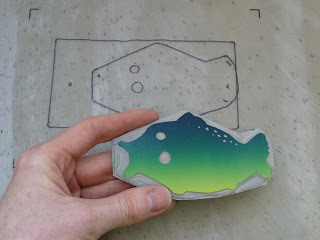 To register the two blocks I made a template out of clear plastic and drew round the blocks where I want them to go. A lot of my blocks are irregular shapes so it’s easy to see where they have to go (and avoid putting them down upside-down). 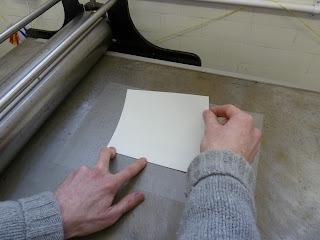 To lower the paper onto the block I hold it down with two fingers of my left hand, making sure it’s aligned with the template. I then lower it onto the block with my other hand. 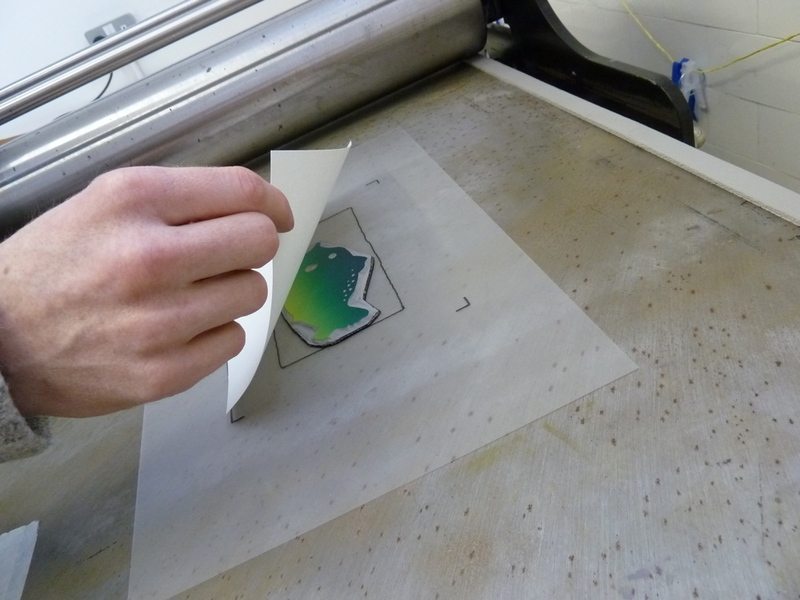 Once you get in the swing it is quite quick to print lots of images this size. I did about 30 in an hour or two. 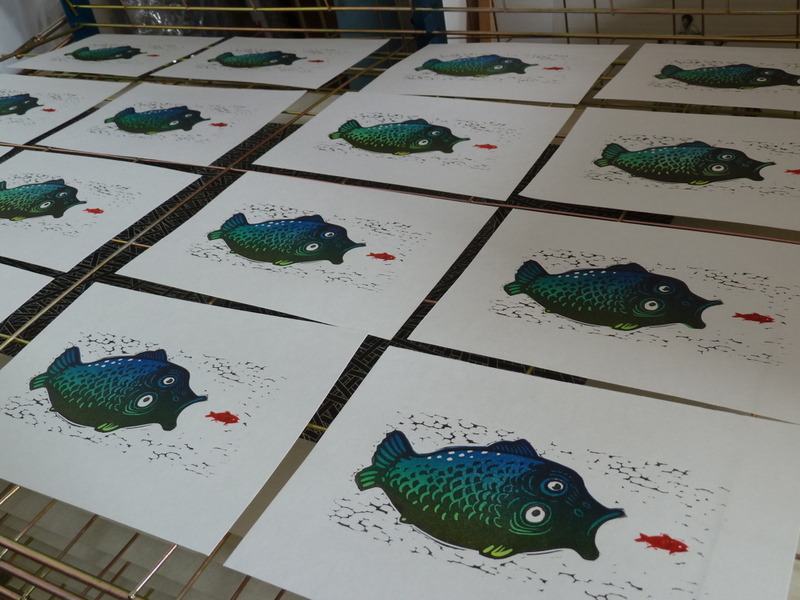 Here they are on my lovely new printing rack. 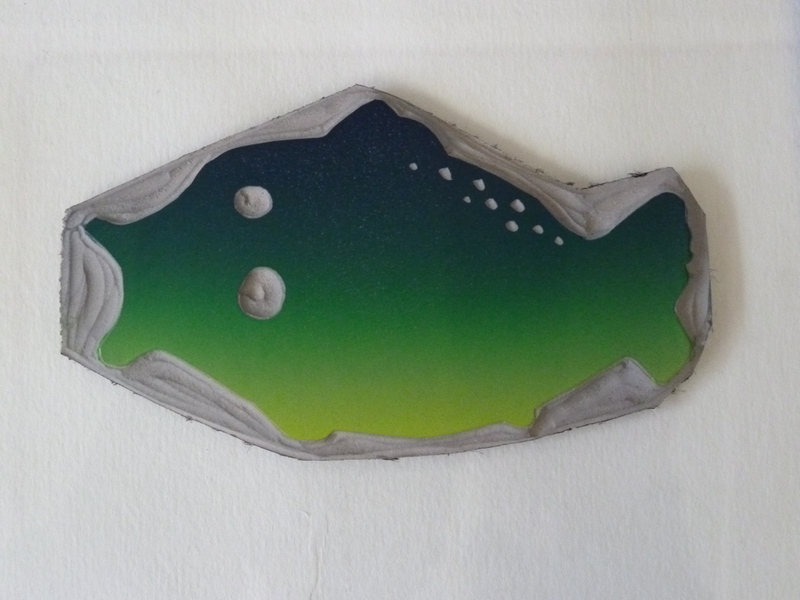 If you want to buy a Hungry Fish they are available from my Etsy shop! Really nice to get this info–Thanks! Very much appreciated! Thank you. thank you very much, Nick! 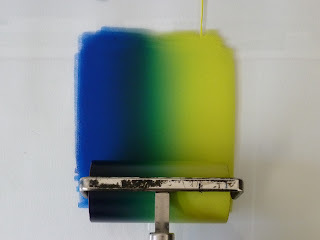 I was admiring a print today, by Philip Hartigan (http://philiphartiganpraeterita.blogspot.com/2011/06/interlochen-printmaking-class-day-5.html), where he has made a background for a lino reduction, that he calls a “three colour rainbow roll”. 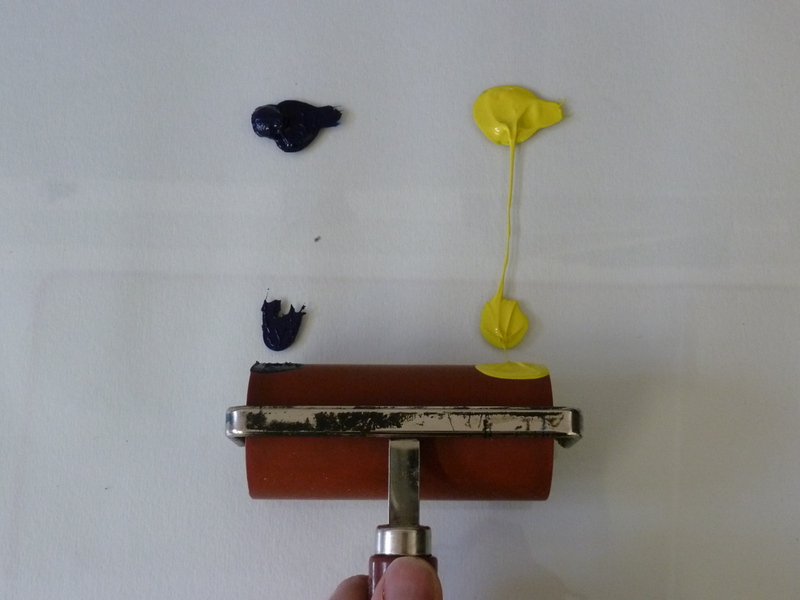 I wondered if he had done this by using different rollers, or by inking up one roller – in the way you have just demonstrated. Now I know! Hope you don't mind me posting this link in your comments. It's quite “safe” – I have been there myself! I think you might like Philip's blog, if you haven't already seen it. Loads and loads of posts, many of them very interesting. 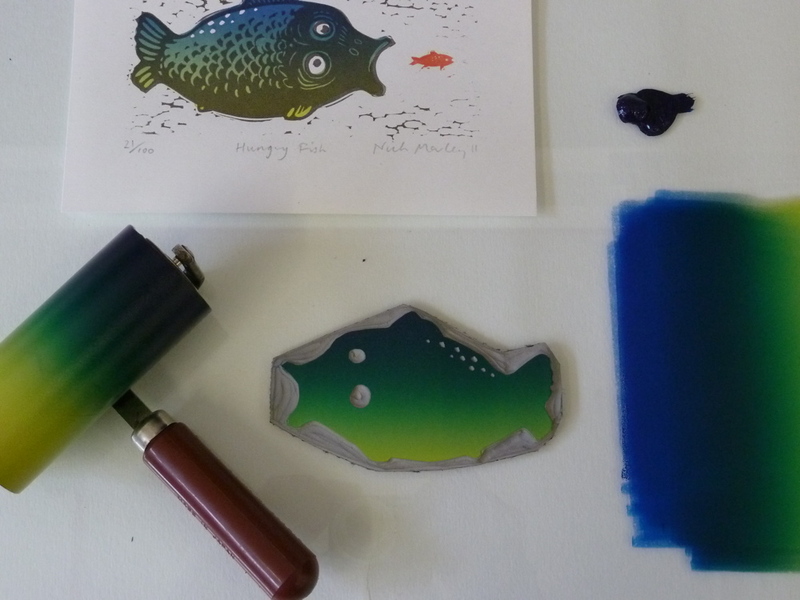 Quite a lot about printmaking too! This a really well explained tutorial and I love the result. 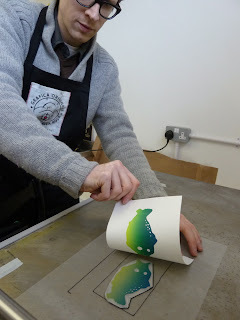 Registration has various forms of practise and a free form image is certainly easier than ones I have done in the past , edge to edge on large papers. This invloves marking a large underneath sheet the size of your paper and marking the size of your actual plate and marrying the two sets of markings, not bad once you are used to using this method and can be managed on my own.I have yet to use the rainbow roll but is very nice effect and I like the idea of two plates. 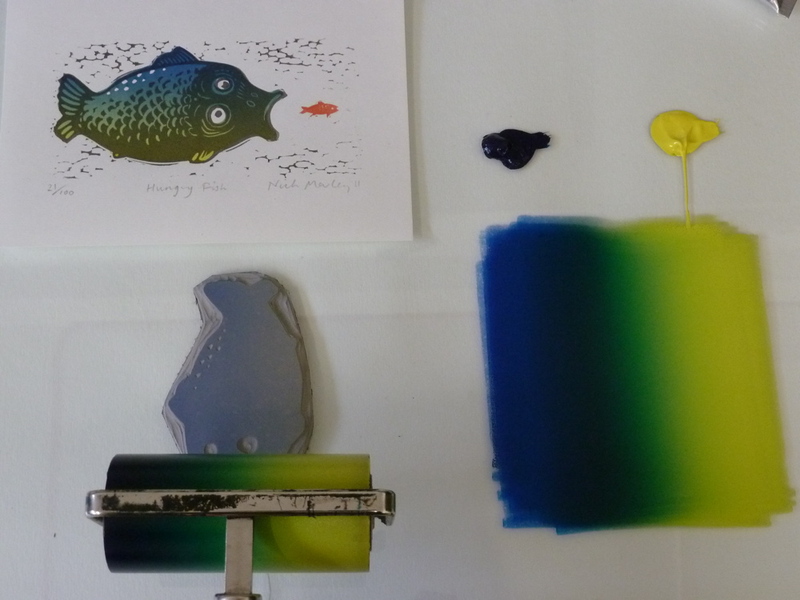 great post – thanks for sharing this… what do you think of the caligo water based inks? great tutorial, thanks for sharing your technique! Just what I was looking for. I am very new to this (only one linocut in so far) and have only used black ink. I have a salmon all set for carving and wanted for pink and green. Thanks for this great tutorial! Great tutorial, I just printed some octopus designs using this technique, just got the black outline to do. 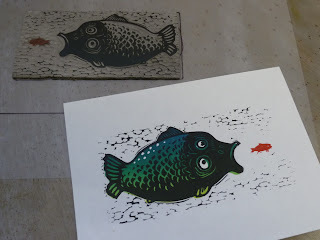 Totally love your work, was inspired by your Do Something article in Feb 2014 to take up lino printing again after enjoying it at school a loooong time ago! 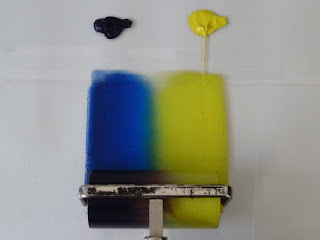 I love the way you teach your tutorials. By the way here’s an idea, why don’t you create several prints and make a video of it so its like a animation? 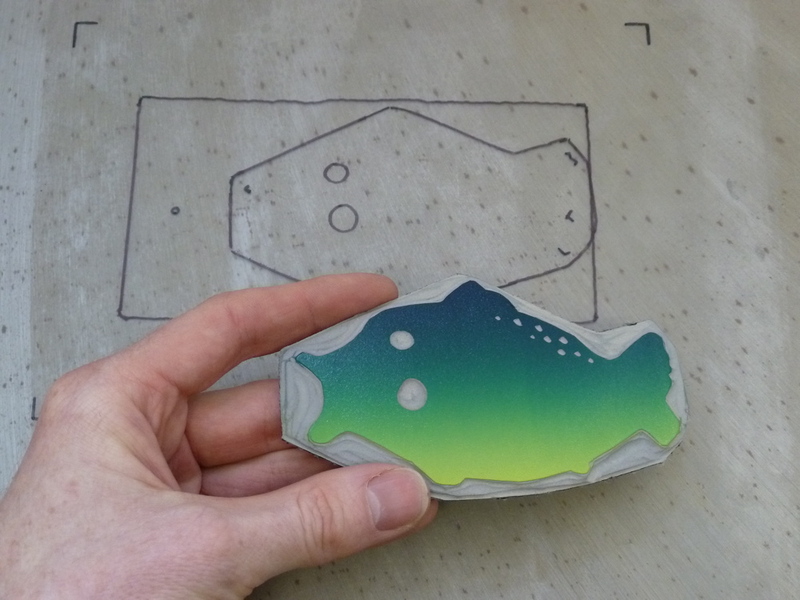 I don’t really understand how you knew where to place the first coloured block on your template and draw round it, especially as it isn’t exactly the shape of the fish, knowing it would match the black outline block. Could you explain? 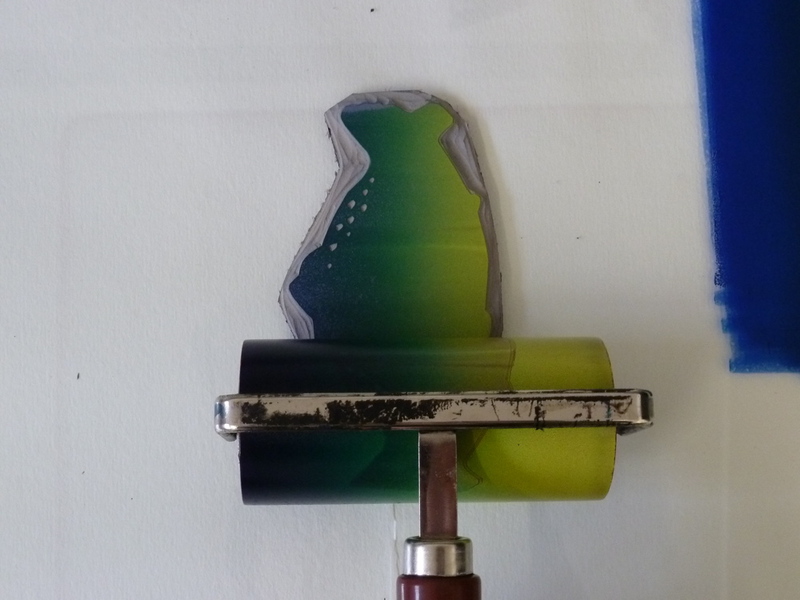 Hi, just thought I’d ask as this came about in my own work, How do you find printing colour on coloured card/paper? Im currently working on a uni project about sound in the city but it’s a very busy image so I don’t think this process would be quite right. 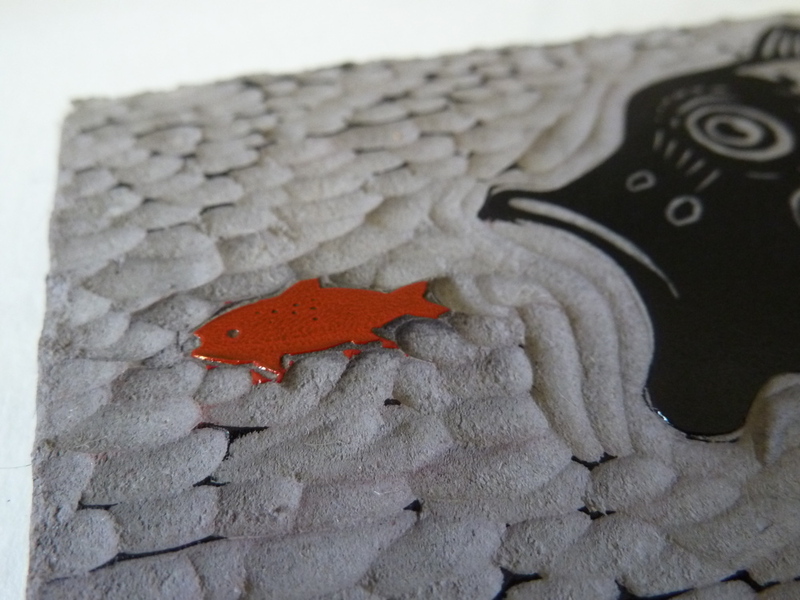 The project asks for colourful imagery so i was wondering how well it would work to print in colour (red/orange etc) on coloured card. Make it look a bit Andy Warhol if you know what i mean. 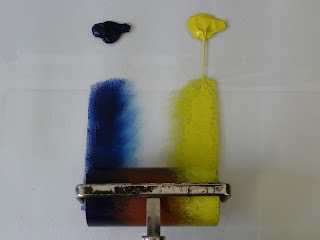 This blog is so useful and inspiring thanks for the posting! Just about to give lino cutting a try – is there a thickness of lino you would recommend? Thanks Mariah! 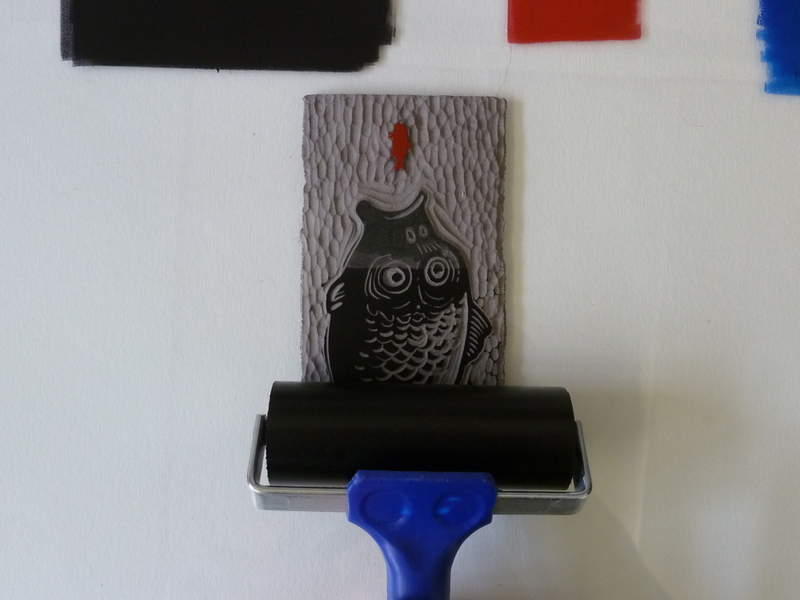 I use grey lino, It’s 3.2mm thick. 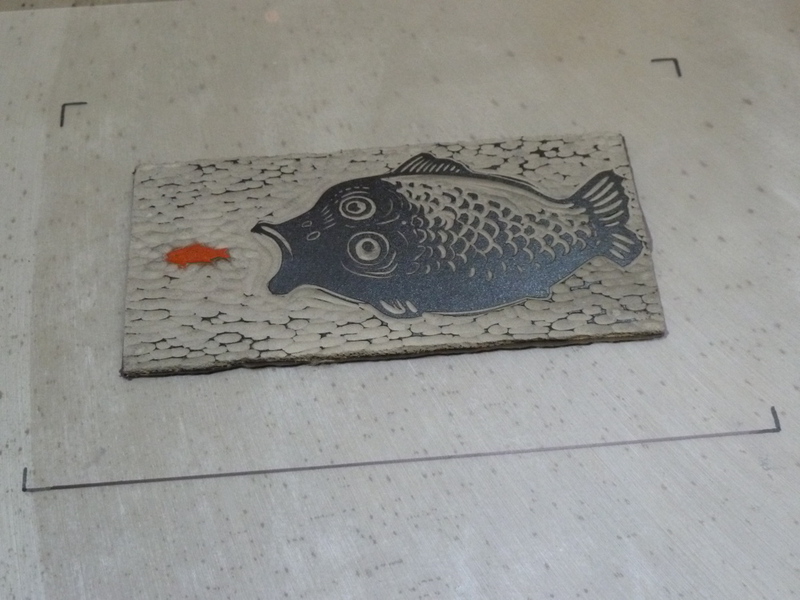 The thickness is not as important as the quality of lino though. It should be fresh, either way. I’m curious what the brand of the ink roller is ? with my Facebook group. Chaat soon! This was useful. Thank You! 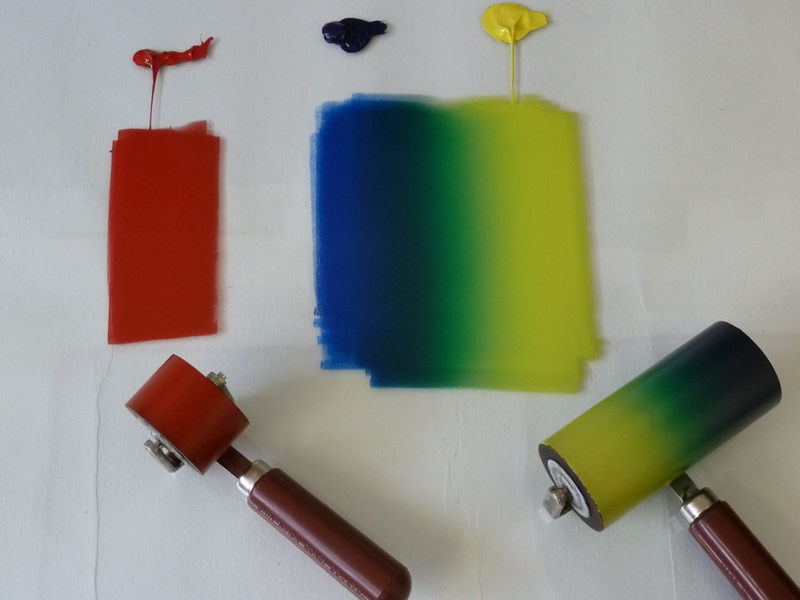 Thank you so much….a great simple way to create a multi color…. 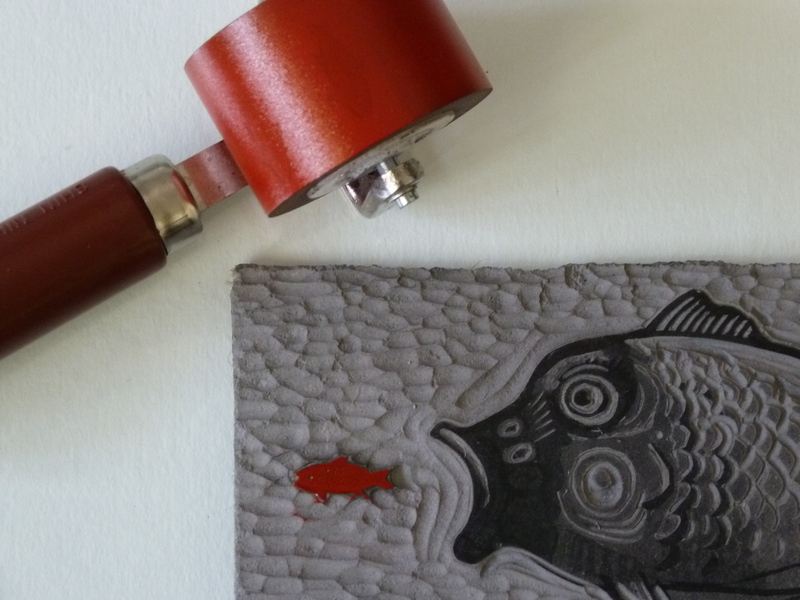 This blog is all about linocuts. 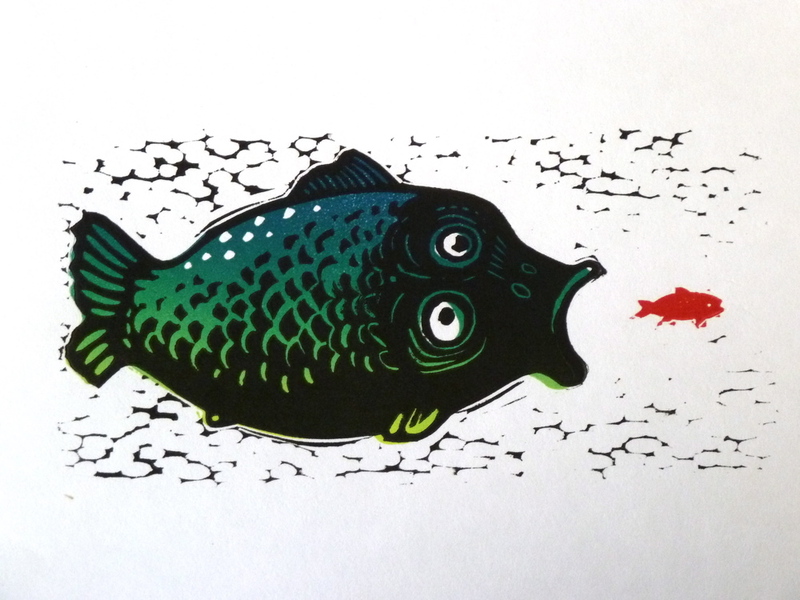 It features work by myself and other linocut artists from around the world. I also post "how-to" guides to linocut techniques, equipment and tools and other linocut-related subjects such as workshops, exhibitions and books. I welcome your comments and hope you enjoy reading. Print drying rack for my studio. 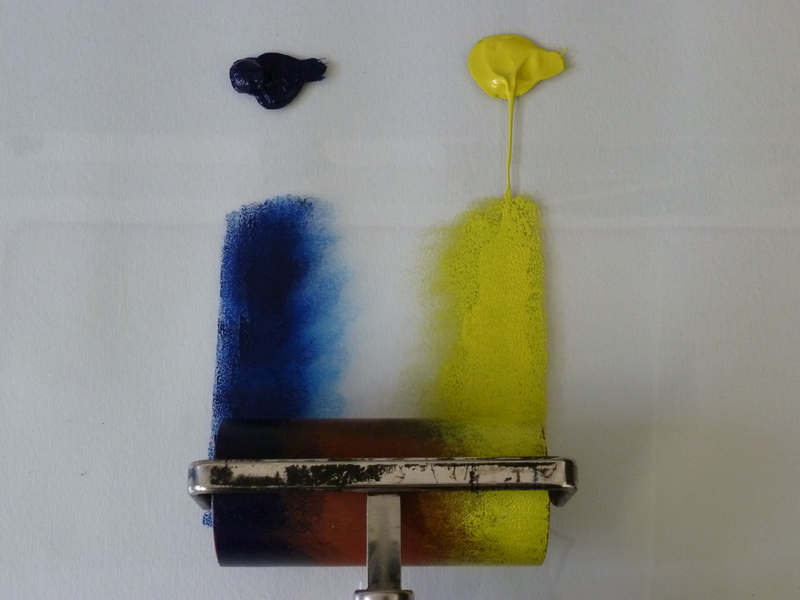 Visit my studio in Margate!